It was a real tiring weekend as much as it was exciting. Tiring because of all the kitchen activity but exciting because I came up with two wonderful desserts which I’m sure my co-workers/friends at work will love- a repeat of my Coconut-Pineapple Tres Leches and Orange Angel Food Trifle. These are belated birthday treats for two co-workers that I have to make more for my personal gratification than them expecting it from me although I know they will be touched. 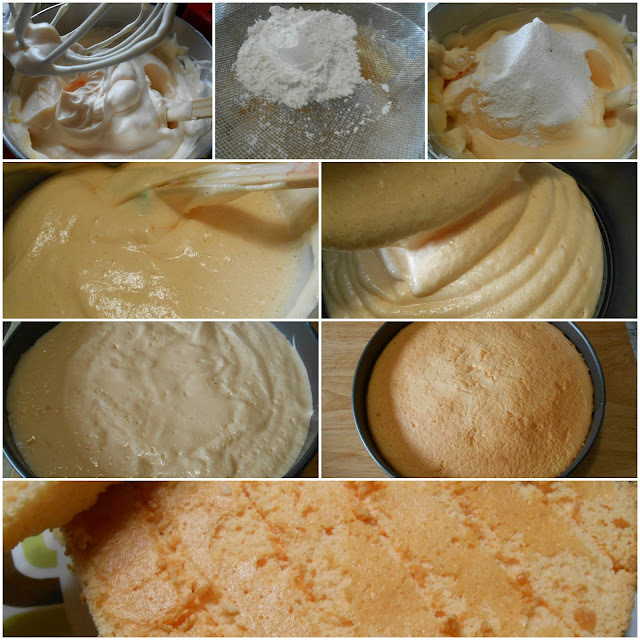 Others prefer using ladyfingers in making trifles and I like it too but my angel food cake is just as light and tender which I flavored with orange and lemon extracts. 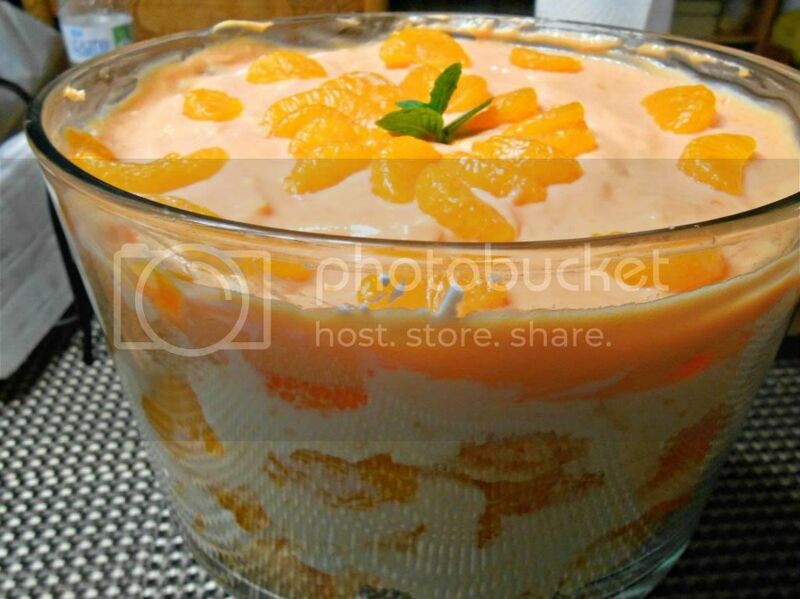 The orange mousse is made from fresh orange juice, unflavored gelatin, cream cheese, confectioner's sugar, orange zest, and heavy cream and then I folded mandarin orange segments into it. And the delicious orange curd as the crowning glory of the dessert with more mandarin orange segments as garnish- ain't that pretty? I was hoping I'd have at least two layers of it but maybe I ate too much that it was not enough. I made this for B who loves chocolate cake and it has become a tradition for me to bake him one on his birthday but the orange curd led me to a different direction. I thought of layering it with dark chocolate shavings to have something chocolaty but I wanted to keep the fresh citrus theme of my trifle. And guess what-it was a wise decision because he loved it! Wow all around town! On the matter of the Coconut-Pineapple Tres Leches- it has maintained its spot in my "Crowd Pleaser Roster" and this trifle has just joined the ranks; need I say more? Mission accomplished------I'm happy! In a small bowl, whisk and sift together (4 times) ½ cup caster sugar and the cake flour-set aside. Beat egg whites until frothy, then add warm water, cream of tartar and salt. Beat until fully incorporated then begin to add the remaining ½ cup of sugar 1-2 tablespoons at a time. Continue beating the egg whites to soft peaks (achieved when the egg whites look like soft waves and the peaks should drop back down into the batter when you lift the beaters. If the batter is falling in ribbons, it’s not ready. Do not beat all the way to stiff peaks though. 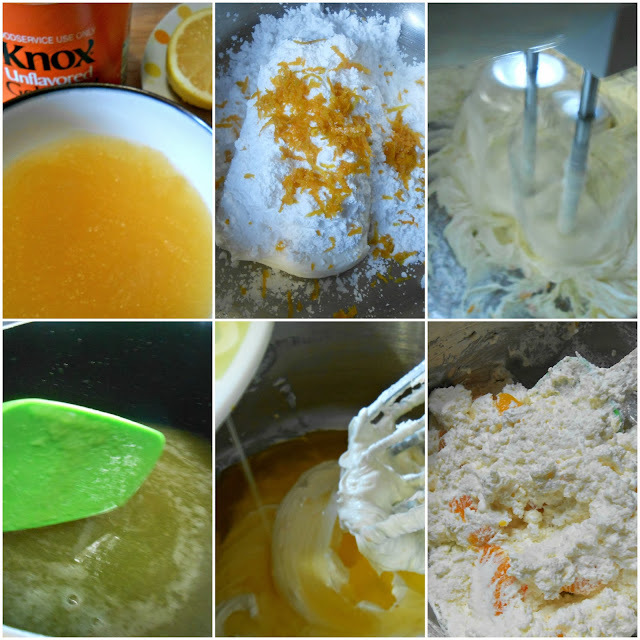 Add the lemon and orange extracts and beat for a few seconds more till evenly distributed. Sift the flour/sugar mixture over the rest of the egg whites in 6-8 additions and gently fold it in after each addition. Transfer into an ungreased spring form pan and smooth the top with a spatula. Gently tap pan on the counter top to ensure that there are no large bubbles lurking beneath the surface. Bake for 35-38 minutes or until the top springs back when lightly pressed. Allow to cool completely and gently run a thin knife around the sides, then around the bottom, of the pan to release the cake. Pour orange juice in a small sauce pan. Sprinkle unflavored gelatin and stir. Let stand for a minute then over medium heat cook/stir until dissolved. Remove from heat and set aside. In small bowl fitted to a stand up mixer, beat cream cheese, powdered sugar and orange zest on medium speed until smooth and fluffy. 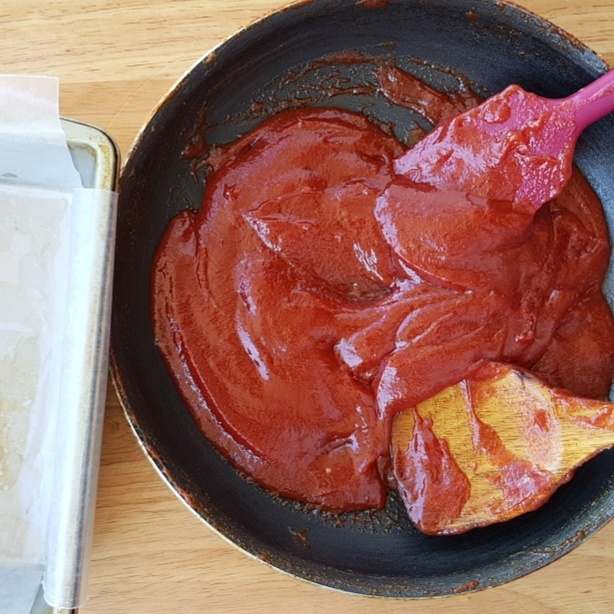 Gradually add softened gelatin and blend well then refrigerate until slightly thickened. Meanwhile, with an electric mixer, whip heavy cream on high speed until stiff peaks form. Fold whipped cream into orange mixture; then gently fold in mandarin orange segments. Oh my....what a beautiful Trifle! I would be happy too if I get to try this delightful trifle! What a great use of the orange curd. :) I can't wait to give this a try. What can I say but thanks again although it's not nearly as pretty as your presentations of which I'm always in awe. Next in line is my version of your dream cake. I am dreaming about it as I type this. I am an angel food cake lover but I have to quickly shop for vanilla paste and the vanilla blackberry sage tea!